Former President of Nigeria, Chief Olusegun Obasanjo, has charged political leaders to desist from using other peopleâ€™s children as political thugs during elections, while they keep theirs in â€˜safe havensâ€™. The former president also acknowledged that young Africans are not too young to run for political offices, but noted that insurmountable barriers, which include the hurdle of outrageously exorbitant cost of party nomination forms and campaign costs, were put against them to make them stay away. Speaking yesterday while presenting a paper: â€˜Demystifying Leadership Capacity Deficit of African Youths: Our Future is in their Handsâ€™, at the inauguration edition of Kingâ€™s College London Global Leaders Engagement Series held in London, United Kingdom, Obasanjo identified lack of economic opportunity; inclusion and adoption of policies on education; skill acquisition; empowe rment and employment as some of the obstacles hindering African youths from playing active roles in leadership, development and peace building. He, however, revealed that despite these hindrances, he saw hope of a continent where the creative energies, intellectual prowess and ingenuity of the continentâ€™s youths is capable of leading Africa to a promise land. According to a statement issued by his Special Assistant on Media, Mr. Kehinde Akinyemi, the former president lamented that many young people are systematically marginalised because of their young age, limited opportunities, and projected lack of experience. He also identified insurmountable barriers against youth seeking elective posts, and stressed that Africa must learn to train its youths to succeed their leaders. â€œSuccession planning is a culture that Africa needs to imbibe. It increases the number of people who are capable and available to assume leadership roles when the incumbent is no longer available to do so. This, ladies and gentlemen, is a deliberate process. â€œWe cannot continue to assume that by mere observation from afar, young people understand why we do what we do. We must introduce them to our networks and partners; set them up to represent us in important meetings while we can still guide and nurture them. 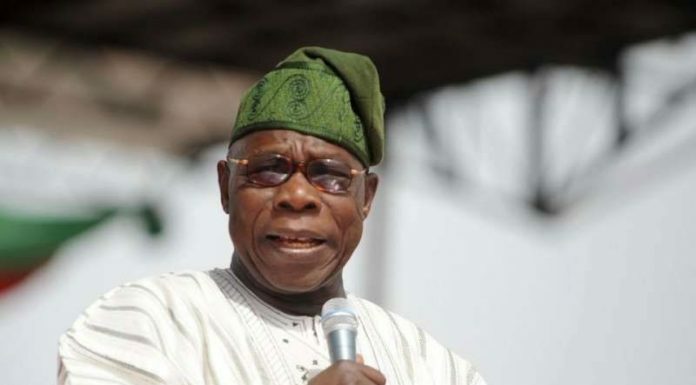 An organisation should not be ruined because one person is no longer available to lead,â€ Obasanjo stated. On the barriers against the not-too-young-to-rule policy, the former president suggested that if there is any need for constitutional change or political party structures to be amended, such should be done to make the youth more involved in contesting for elective posts. â€œIf constitutional changes are required, let us begin now. If policies and political party structures have to change, let us begin now. Of what use is a law that allows young people contest for a particular office only to be confronted with the hurdle of outrageously exorbitant cost of party nomination forms and campaign costs?â€ he asked. Obasanjo, however, noted that the young people must continue to engage political leaders â€œtill they lower the cost of election and governance in Africa.